Your emergency is our emergency. When a situation arises, Illingworth Engineering Company has access to every size and various types of boilers and the needed ancillary equipment to get you back online. 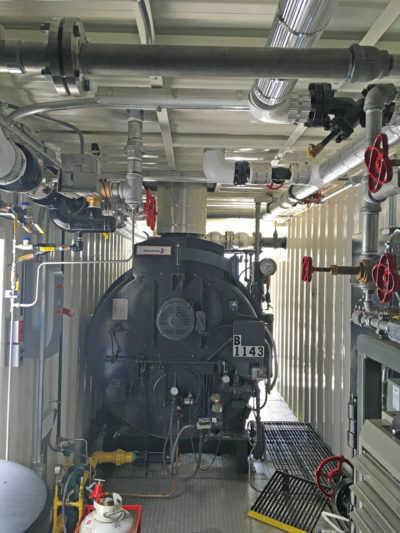 From self-contained mobile boiler rooms and trailer mounted boilers, we are ready to provide steam or hot water when you need it. Whether you are preparing for a planned shutdown, require additional capacity or experiencing a plant emergency, we can help. When you rent from Illingworth, we are with you from delivery to pick-up. We provide delivery, commissioning, operator training, routine maintenance and evaluate the equipment upon pick up. Contact us with your requirements, and we will match you with the right equipment.